@ Pairc Ui Rinn, 7.45pm E.T. 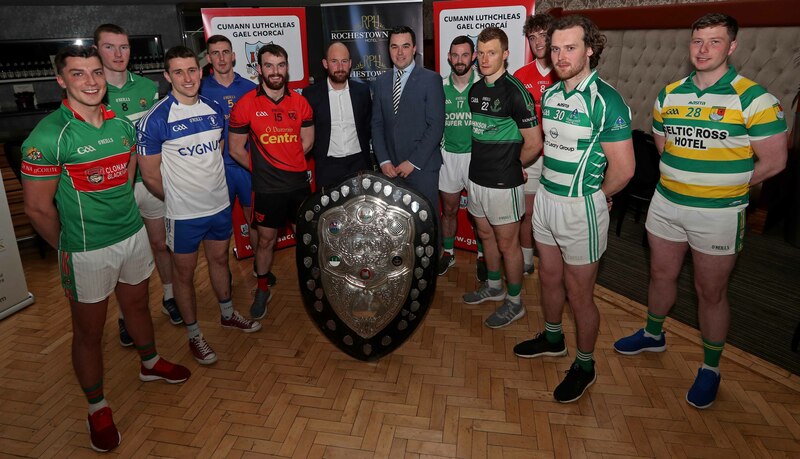 The teams that contested 2018 Kelleher Shield included Ballincollig, Beal Athan Ghaorthaidh, Carbery Rangers, Cill na Martra, Clonakilty, Macroom, Mallow , Nemo Rangers, O’Donovan Rossa, St. Finbarr’s, Valley Rovers. Click HERE to view the 2018 competition results. This impressive trophy was presented by John Kelleher in 1913, making it one of the oldest trophies in the county. It was first won by Bantry in 1913, followed by Fermoy the following year. John Kelleher was Managing Director of T. Lyons and Co. and the Shield was presented for the purpose of it being competed for by football teams. Mr. Kelleher had a remarkable business career, entering the firm T. Lyons and Co. as a thirteen year old in 1859 and becoming Managing Director fourteen years later in 1873. When he retired in 1932, he had been with the company for 73 years, 59 of which were as its Managing Director.